The former first couple have largely steered clear of politics since leaving the White House, following tradition, but that may be changing. 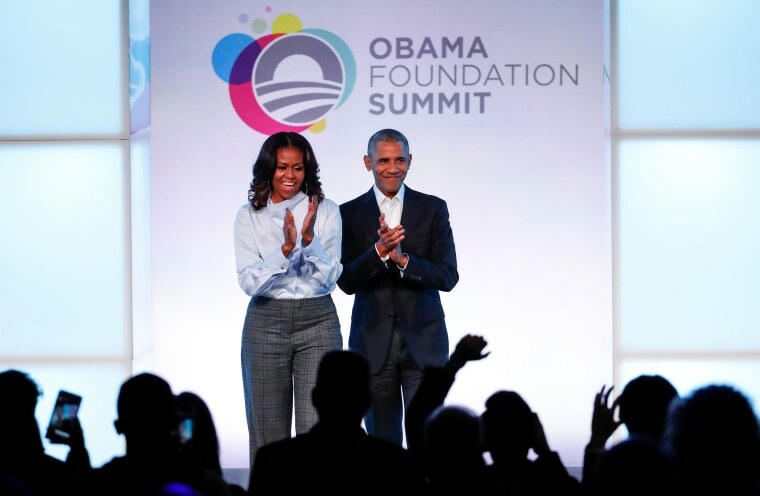 WASHINGTON — The Obamas are dipping a toe back into politics. Barack and Michelle Obama on Wednesday released a list of nearly 100 Democratic candidates in more than a dozen states whom they are endorsing in this year’s crucial midterm elections, with plans to campaign for some of them this fall. The endorsements are all in states that have already conducted Democratic primaries, except for New York, where the former president and first lady avoided weighing in on the contentious gubernatorial primary. They have, however, made endorsements in California, including for Democrats facing other Democrats in November, thanks to the state’s unusual “jungle primary” system. The nods have gone to candidates running for everything from state legislature to secretary of state to governor to the U.S House and Senate. Notable endorsements include Georgia governor candidate Stacey Abrams, Nevada Senate candidate Jacky Rosen, and New Mexico House candidate Deb Haaland, who was one of the first congressional candidates to support abolishing the Immigration and Customs Enforcement agency. Some notable absences include Texas Senate candidate Beto O’Rourke and New York congressional candidate Alexandria Ocasio-Cortez, but Obama’s team says this is just a “first wave” and that more endorsements will follow. And some candidates may prefer not to get Obama's nod, since his endorsement could backfire in more conservative areas. The emphasis on down-ballot candidates reflects the fact that the president has quietly made redistricting, which is controlled by state legislatures, his top political priority since leaving office last year. The 2020 Census will kickstart the next round of map drawing. Publicly, the former president and first lady have mostly steered clear of politics since Donald Trump’s inauguration, wanting to give the current president the same deference that Obama enjoyed from his predecessor, George W. Bush. That approach has frustrated some Democrats who want to see their party’s most prominent leader and one of its few unifying figures join the fight against a president whom they feel does not deserve the respect shown to typical Oval Office occupants. Parties often lose ground when they hold the White House, and the erosion under Obama was immense. Democrats lost nearly 1,000 state legislative seats during his eight years in office, along with both chambers of Congress. "I am a proud Democrat, but I do think that ... we've ceded too much territory. And I take some responsibility for that,” the former president told ABC News shortly after Trump’s election in 2016.